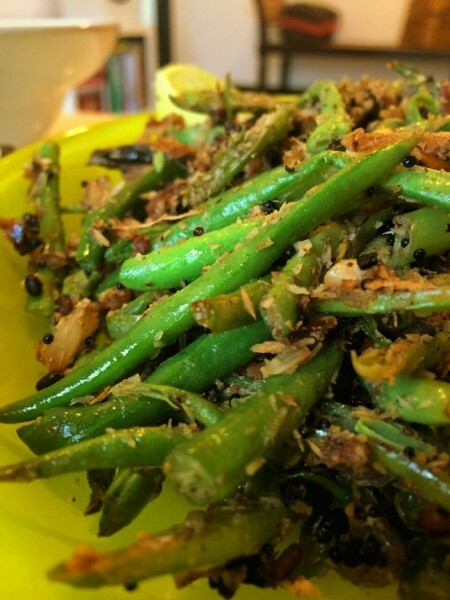 Where my weekend meals are all about fun, flair and proteins, my weekday meals are generally put together without much of an ado. Some weeks ago a friend commented on the fact that I didn’t have enough vegetarian stuff on my blog…the next Sunday was thus dedicated to this friend. Though recipes for everyday meals come without a blink of an eye, when you want to take it a notch higher, you need a recipe. Indian food is very precise. An extra teaspoon of a particular spice can change the end product, and taste. My inspiration for the meal was the humble coconut. Coconut is extremely good for health, as is coconut oil. A teaspoon of this a day is said to help in weight loss! I hope to try it someday, but for now I’ve started to cook with cold pressed coconut oil. The last time I went to Goa, I came back with two litres of this oil, straight from a friends farm. It’s light in colour and the doesn’t smell as much as other coconut oils do, I don’t know if that’s good or bad, though. 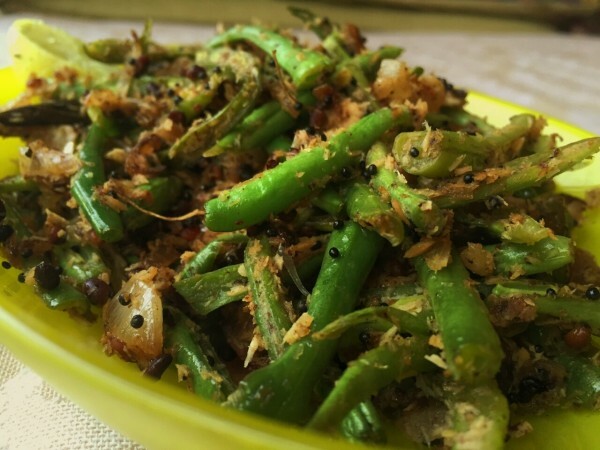 Anyways, so this green beans recipe has a definite south indian twist to it, but is perfect combined with a Palak Dal (Lentils cooked with Spinach and rice and may be even the north Indian Rassa Aloo (Potato in a Yoghurt Sauce). 1. In a thick bottomed pan heat the oil. 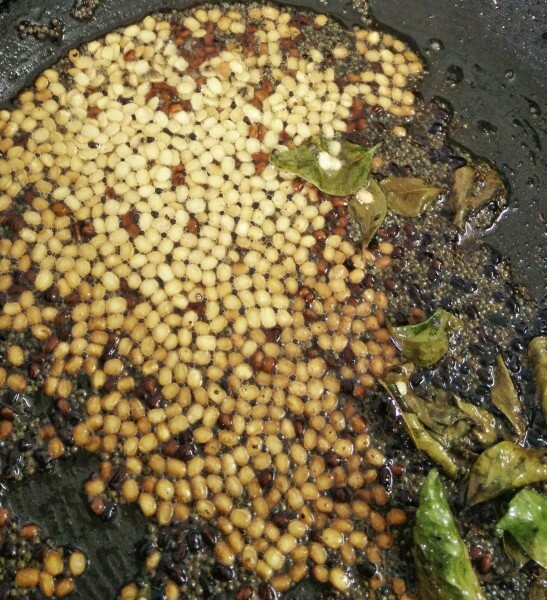 When it is hot add the seeds, chilli and curry leaves and wait till the dal turns light brown. 3. 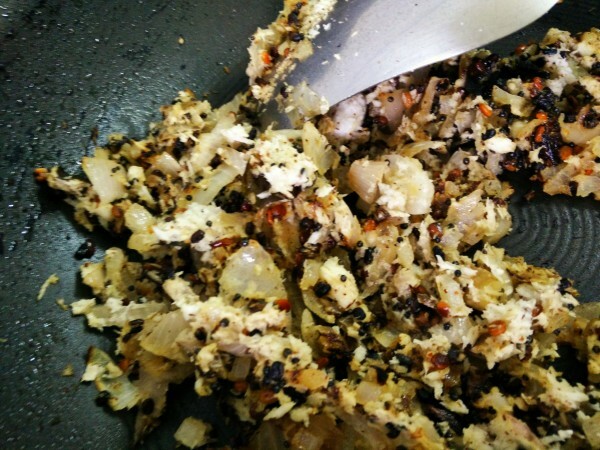 Add the grated coconut and cook till the coconut is golden. 4. Add the beans and cook for 5 minutes. 5. Add salt and a squeeze of lime and serve immediately. NOTE: To ensure the beans remain green you must cook the beans just before serving.